← Day 103: All New Tapas in Barcelona. Have you ever seen those stout, multi-faceted candles made with all kinds of crazy colours and objects mixed throughout the wax? 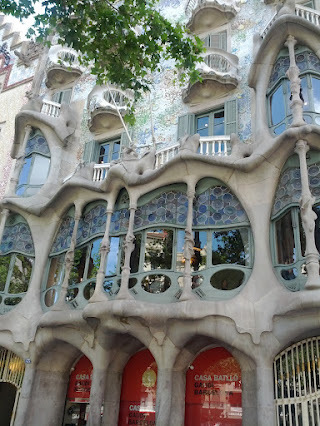 Sometimes I wonder if watching one burn wasn’t part of what influenced Antoni Gaudi in his architectural style, famous examples of which can be found throughout Barcelona. 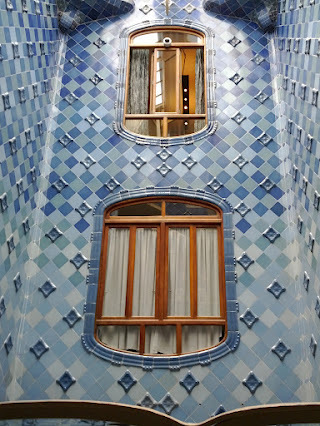 Probably the most renowned and fascinating ‘regular’ building bearing his distinctive distorted trademark is Casa Batllo, on Passeig de Gracia, in the heart of the city. While I have briskly walked by this incredible building dozens of times, I have never bothered to wait in the usually lengthy queue to see what treasures its cavernous walls might be guarding. Until today. Like peeling back the layers of an onion, the complementary audio guide continued to point out increasingly interesting features and anecdotes about this jaw-dropping structure. From the first banister right through to the magnificent elevator shaft, and from the dining hall with its outdoor terrace to the celebrated rooftop chimneys, not one corner of the house was without unusual charm and awe. I kept thinking about what a pain it would be to paint a house like that, without a single straight wall in the place. 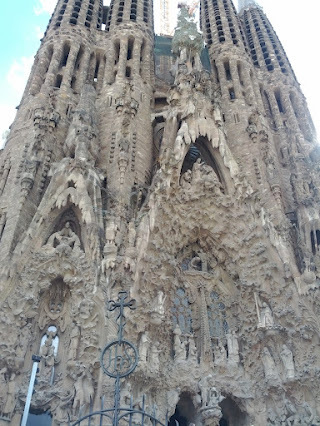 You could never build it nowadays in North America, as they don’t make drywall in mosaic shapes and sizes. It truly is a one-of-a-kind masterpiece. 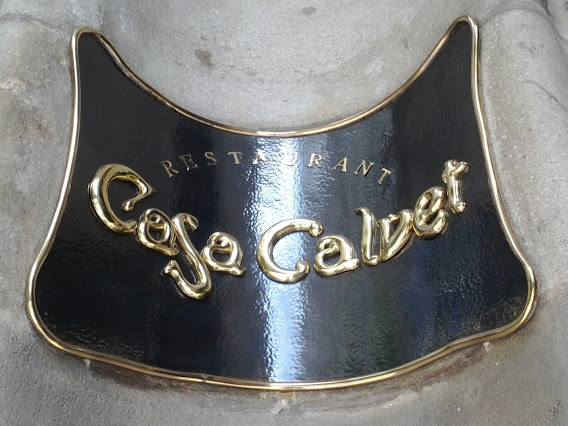 After spending a good amount of quality time wandering throughout the many levels of the house and its curiously placed upper level gift shop, we proceeded to walk by the equally stunning Casa Calvet, which now houses a restaurant of the same name, along with a set of exclusive apartments, the lobby of which is apparently off limits to photo-snapping Gaudi enthusiasts. Or so I’ve heard. 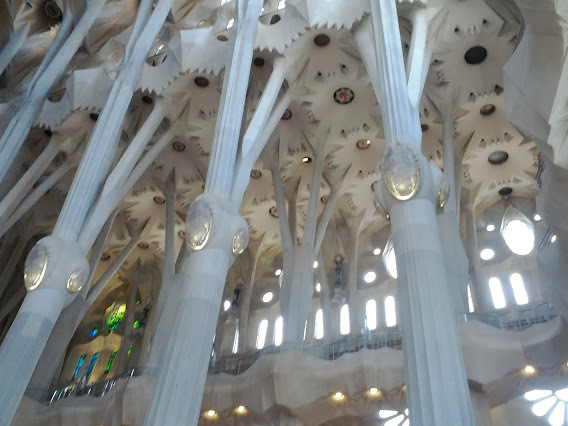 The afternoon did not seem complete without a walk through the ever-evolving Sagrada Familia church, Gaudi’s ultimate, unfinished gift to the city, which, after much deliberation and consternation by the Catalans, is finally nearing completion. 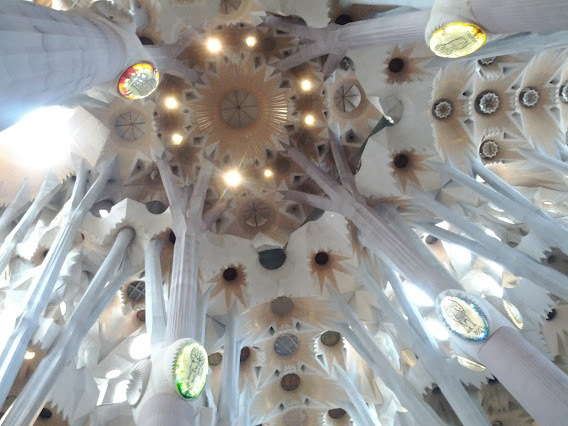 It is simply unbelievably breath-taking, and captivates the imagination of all who enter. 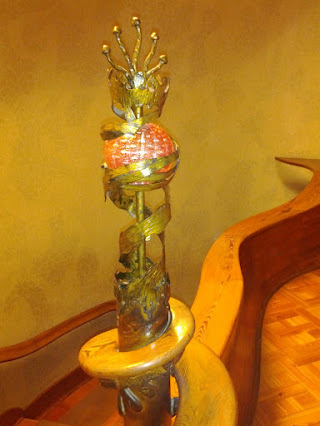 It also includes a nice exhibit that explains some of the natural world’s influences on Gaudi’s work. I consistently return to see this structure every time I visit the city, and am constantly amazed by the progress of the decades-long finalization project. The cathedral continues to hold the title of the number one tourist destination in all of Barcelona, and with very good reason. It humbly defies every principle of straight lines construction, leaving you to contemplate what other things you take for granted that you might want to re-examine. Simply put, it takes out of the box thinking to a whole new level! 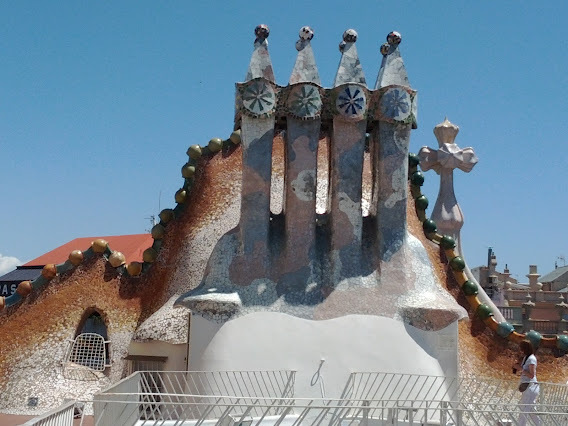 Sadly, there was not time to visit Parc Guell today, which remains a magical place close to my heart, and truly unlike any other on earth. 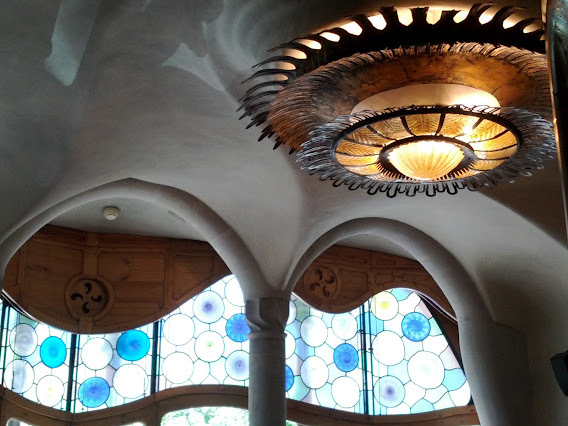 If you are planning on visiting Barcelona someday soon, and you have a little Gaudi fetish, these four places should be more than enough to help you scratch that itch for some time. Enjoy! 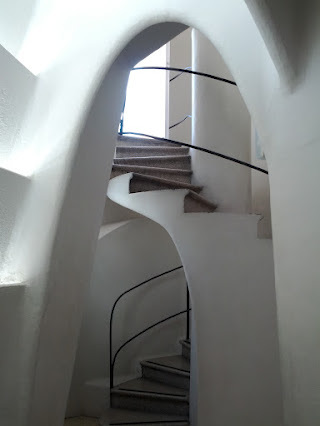 This entry was posted in Educational and tagged Antoni Gaudi, Barcelona, Casa Batllo, Casa Calvet, Educational, Gaudi, June, Parc Guell, Sagrada Familia, Spain. Bookmark the permalink.